East Coast shark sightings are on the rise. Reports of great white and hammerhead shark sightings have some swimmers frightened. The Discovery Channel’s annual Shark Week is attempting to explain the increase in sightings and attacks. This year’s Shark Week will focus on the Sharkpocalypse. The theory suggests that the shark population has not increased. In fact, they have continuously decreased. 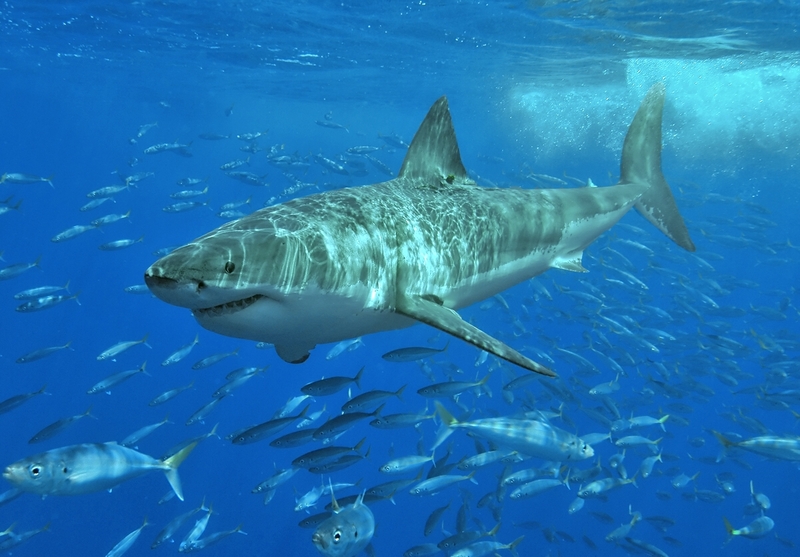 Despite the decrease in population, East Coast shark sightings are on the rise. As reported by USA Today, shark attacks are on the rise as well. Biologists have suggested that the rise in sightings and attacks are caused by a rise in the human population. Not the number or behavior of the sharks. As more people move toward the coast, they are entering the water for recreation. The oceans are a natural habitat for sharks, not humans. As people invade the sharks’ habitat, researchers believe it has led to an increase in sightings and attacks. George Burgess, curator of the International Shark Attack File, compiles yearly statistics on shark sightings and attacks. In addition to increased human presence, Burgess blames overfishing and loss of natural habitat. As reported by Outside Online, increased great white sightings have been noted for several years. Researchers blame the Marine Mammal Protection Act of 1972, which makes it illegal to kill seals. As the Gray Seal populations continue to rise, the great white sightings follow. Signs along the beach warn visitors to stay away from the seals. However, some people have suggested that the warnings are not enough. Water sensors and shark spotting planes have been considered, but either may provide false security. Experts agree that when humans enter the ocean, they need to remain cautious. Increased hammerhead sightings in Florida have been blamed on overfishing. Burgess suggests that the sharks are following the fishing boats further inland, leading to a rise in sightings. East Coast shark sightings are on the rise, which may be alarming. However, experts point out that people can protect themselves from attack by being aware of their surroundings and heeding posted warnings.